The exhibition is a unique opportunity to retrace the history of the last three councils of the modern age. 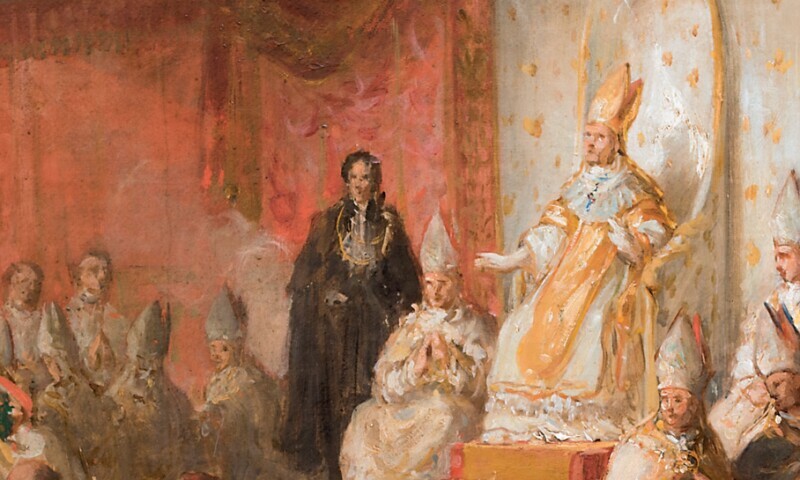 On the occasion of the canonization of Paul VI, announced by Pope Francis for the coming month of October, the Capitoline Museums' earthly rooms host the exhibition "The Popes of the Councils of the Modern Era. Art, History, Religiosity and Culture " . A path that winds around 30 works - rare, precious paintings, sculptures, silver and liturgical textiles- and illustrates the figures of some of the popes who were protagonists of the three councils of the modern era, the Council of Trent, in the sixteenth century, the Vatican Ecumenical Council and Vatican II, between the nineteenth and twentieth centuries, vehicles of reforms and renewals in the continuity of the Church, with important repercussions in the theological-historical and pastoral field and on the artistic side. From the second half of the sixteenth to the twentieth century, popes have succeeded, on the throne of Peter, who have confirmed three Councils, which, precisely because they were made in the modern era have also been interpreters of this era, with its "languages".